The Brooklyn Nets have reached an agreement in principle with the Boston Celtics to acquire future Hall of Famers Kevin Garnett and Paul Pierce after Garnett agreed to waive his no-trade clause, league sources told Yahoo! Sports. Garnett waived his no-trade clause after the Nets agreed to fully guarantee the $12 million owed him for the 2014-15 season, the third year of his contract. Prior to the agreement, the Nets could have bought out Garnett for $6 million. The Nets have discussed a possible deal to land Paul Pierce and Kevin Garnett. (USA Today Sports) Garnett also was swayed by the chance to join his close friend, Pierce, in Brooklyn where they could play for longtime rival Jason Kidd. The trade can't be made official by the NBA until July 10. 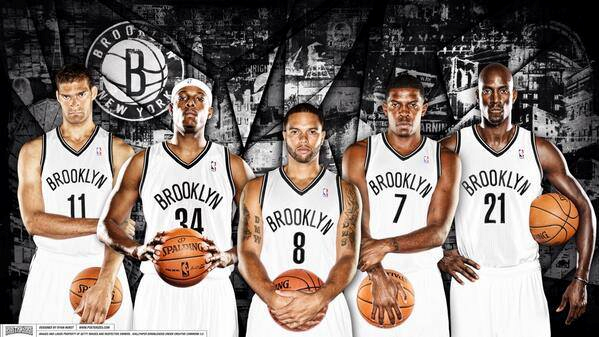 The trade comes with a heavy cost for the Nets: They face a luxury-tax bill of nearly $80 million. Their payroll will be close to $100 million. The deal centers around a package that sends Gerald Wallace, Kris Joseph, the expiring deal of Kris Humphries and three future first-round picks (2014, '16 and '18) to the Celtics, sources told Y! Sports. The 2014 pick will either be Brooklyn's or Atlanta's because the Hawks have the right to swap the pick with the Nets as part of last summer's Joe Johnson trade; the Celtics will get the worst of the two selections. The Celtics also will have the right to trade first-round picks with the Nets in 2017 if the Nets have the higher pick. Celtics guard Jason Terry joins Garnett and Pierce in the package going to the Nets, sources said. The Nets also will send back Marshon Brooks and do a sign-and-trade involving Keith Bogans, a source said. The Celtics welcomed the chance to clear cap space and gain multiple future draft picks to start the franchise's rebuilding process. Earlier in the week, they received a 2015 first-round draft pick from the Los Angeles Clippers in exchange for releasing Doc Rivers from his coaching contract. The Golden State Warriors made an inquiry with Boston on Garnett on Wednesday, but there was no traction, league sources told Yahoo! Sports. The Celtics discussed a possible Pierce-Garnett package with Dallas, but it gained no momentum, sources said. Very few teams, if any, would have the inclination to trade three draft picks for a short-term run with two aging stars.